Translated as "the disorder of fear," taijin kyofusho, or TKS, is a specific, culturally bound, Japanese form of the social phobia anxiety disorder. This fear occurs in about 10 to 20 percent of Japanese people and is more common in men than women. By contrast, anxiety disorders are significantly more prevalent in women than men. Japanese culture stresses the good of the group over the desires of the individual. Therefore, if you have this phobia, you might be intensely fearful that your body's appearance or functioning is offensive or displeasing to others. Some Japanese people with taijin kyofusho particularly focus on odors, others on the way that they move, and still others on their body shape or aesthetics. The fear can also be of aspects of your mind rather than your physical body. You might be afraid that your attitude, behaviors, beliefs, or thoughts are different than those of your peers. Taijin kyofusho is listed in the "Diagnostic and Statistical Manual of Mental Disorders" (DSM-5) under 300.2(F42) "Other Specified Obsessive Compulsive and Related Disorders". Patients with either phobia simultaneously crave and fear interpersonal interactions, and may gradually become more and more withdrawn in an effort to avoid their fearful reactions. The crucial difference between taijin kyofusho and social phobia is subtle. 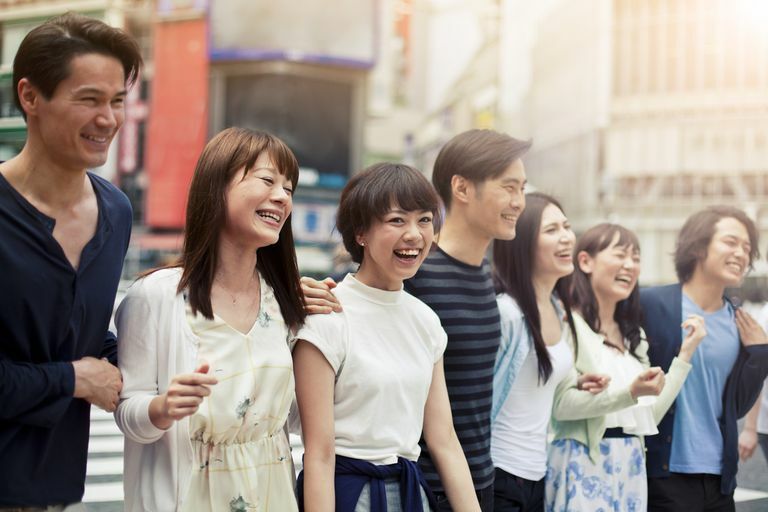 People with social phobia are afraid of experiencing embarrassment in front of others, while Japanese people with taijin kyofusho are afraid of embarrassing others by being in their presence. In keeping with cultural expectations, the basis of social phobia is on the sufferer's individual reactions, while the basis of taijin kyofusho is on the sufferer's perception of the reactions of the group. Sekimen-kyofu is a fear of blushing. Shubo-kyofu is a fear of a deformed body. Jiko-shisen-kyofu is a fear of one's own glance. Jiko-shu-kyofu is a fear of body odor. Delusional: The sufferer obsesses over a particular personal flaw of the body or mind that may periodically change. Phobic with schizophrenia: This is a separate and more complicated disorder. In this case, taijin kyofusho is part of the sufferer's schizophrenic reactions, not a simple phobia. In the Western world, clinicians don't recognize taijin kyofusho as a separate disorder and usually treat it the same way as social phobia. Japanese clinicians frequently use Morita therapy. Developed in the 1910s, traditional Morita therapy is a highly regimented progression that helps the patient learn to accept and redirect his thoughts. Stage one is bed rest in total isolation, stages two and three focus on work, and only stage four includes what Westerners think of as therapeutic techniques such as talk therapy. Today, Japanese clinicians modify Morita therapy for outpatient or group settings, but the basic principles remain the same. Like Western psychiatrists, Japanese doctors sometimes prescribe medications as an adjunct to therapy. Diagnostic and Statistical Manual of Mental Disorders: DSM-5. Washington: American Psychiatric Publishing; 2014. Jackson YK. Encyclopedia of Multicultural Psychology. Thousand Oaks, CA: Sage; 2006. Wu H, Yu D, He Y, Wang J, Xiao Z, Li C. Morita therapy for anxiety disorders in adults. Cochrane Database of Systematic Reviews. 2015. doi:10.1002/14651858.cd008619.pub2. Did You Know That Women are More Likely to Have Phobias Than Men? How Exactly Do You Diagnose a Phobia? Is Your Fear of Haunted Houses a Phobia? How Can Living With a Phobia Interfere With Your Life? Do You Know How Many People Have Phobias in the U.S.?